Cozy & modern close to Light Rail! 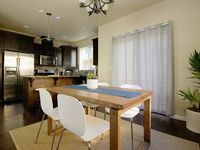 Property 4: Cozy & modern close to Light Rail! Large 2 Bedroom Townhouse, 2.5 Bath, Sleeps 5, Int Garage, Heart Of Nw Portland. Property 10: Large 2 Bedroom Townhouse, 2.5 Bath, Sleeps 5, Int Garage, Heart Of Nw Portland. Property 16: GetAwayHome Private Backyard near everything you need!!! Two story home, 5.5 miles to Downtown Portland and 8.9 miles from PDX Airport. Property 20: Two story home, 5.5 miles to Downtown Portland and 8.9 miles from PDX Airport. Property 23: Sleek townhome w/patio - walk to amazing restaurants, breweries, trails & shops! Orenco Executive (private en suites, gourmet kitchen, private patio). Property 25: Orenco Executive (private en suites, gourmet kitchen, private patio). Property 26: Beautiful space w/ patio and central location - walk to absolutely everything! 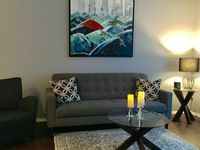 Great NW Portland Location Special Summer Rate! Property 28: Great NW Portland Location Special Summer Rate! Andy's town home is a gem of a find in Beaverton! Clean, modern and cozy. Love that he offers a &quot;self-cleaning&quot; discount as an option, if you're able to clean up prior to leaving. Andy was very responsive from the time of booking till the time of check out. Will be sure to stay here again on our next visit to Beaverton! Thanks Andy!! *Notes: You'll need to provide your own bath soap, shampoo &amp; laundry detergent due to allergies. Street parking is available for the unit. Also, there are stairs leading up to the front door and stairs up to the 2nd floor where the bedrooms are located. If you have heavy luggage or difficulty climbing stairs, you just need to be aware of this. We moved from northern California to Portland, Oregon in mid-August, and decided to rent a home until we found one to buy. We spent two lovely months in this Hillsboro (a suburb of Portland) area, and were very happy with our decision. The house had everything we needed to make this stay perfect, including pillow top beds (which were SO comfy), new washer and dryer, and all the kitchen gadgets you'll need. An outdoor propane gas grill was also provided, and we enjoyed quite a few evenings on the backyard patio, lulled by the sound of a beautiful fountain and beds of flowers. We'd highly recommend this property which offers 3 bedrooms with numerous televisions (all with Hulu and Netflix), Wifi, 2.5 baths, and a delightfully picturesque neighborhood for walking and taking in the seasonal colors. Hillsboro is home to many technology companies, including Intel. The townhome complex has its own pool, workout room and clubhouse, and is located within a few blocks of the home. The owners are very kind and responsive and provided detailed instructions for visitors. Additionally, the area is quiet and centrally located, with easy access to Portland. Great value!